After completing your order, you will be able to print your receipt and you will be e-mailed a receipt. The receipt will display a serial number below the product "Gift Certificate". 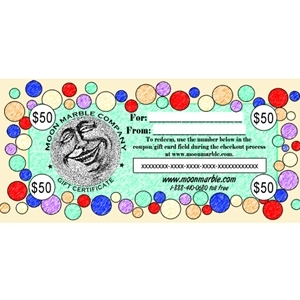 We will also mail a paper gift certificate to the billing address on your account. If you would like it sent to a different address, please specify this in the order notes.